Uncategorized | Pat Bertram Introduces . . . I always put a bit of myself into each of my characters. I also put personality traits of family and friends as well. I think my characters are relatable because they are all multi-dimensional and realistic. Yes, I make very detailed outlines beforehand and then work from the outline to flesh it out into a complete story. I know I’m finished when I reach the final point of my outline. I always have a set number of chapters in mind as well and when I reach that final chapter, I know it’s the last one. My family moved around a lot when I was growing up, so I got to see a lot of places. I’ve used that knowledge of different areas and what they are like to set my books in many different surroundings. 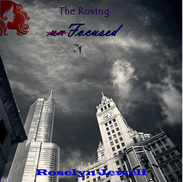 Book two of The Roving, my YA Dystopian series. I made my first writing attempt when I was just five years old! It is a whole lot harder and more involved than most people realize! A Busy Cook’s Guide to Spices was a labor of love. My husband is allergic to MSG and other food additives. I wanted to find a way to spice up our food without using those additives. The first step in writing any book is to first see if someone else has covered the material. So I hit the bookstores first. Granted there were a lot of picture books on spices, but every one of them was organized alphabetically by spice. Because people go to their pantry or refrigerator to decide what to prepare for a meal (not their spice cabinet), I wanted to organize the book both by spice and by the foods we eat. I wanted to know what spices would go with the chicken, asparagus or rice I was preparing. And I assumed many other people wanted to know, too. The scope of the book continued to expand as I wrote it. Most of my research was done at the library and from other spice books. As a history buff, I wanted to include information on spice folklore, and I was curious about what the spices were used for in ancient times. I also discovered how little I knew about the abundance of choices we all have at the grocery store. Much of my research involved buying foods I had never tried and experimenting with them. Because I was so naïve, I assumed many others were also, so I included a How to Cook and Buying Guide for all the foods that are listed. I hope that the title “A Busy Cook” will register with everyone. I wasn’t interested in doing elaborate preparations, although there are one or two recipes that may require some time. I believe in the KISS principle. What I wanted was a way of adding more flavor to my standard meals and in finding out how to spice foods differently. In other words, I didn’t have the time to run to the grocery store for a recipe, so I would read through it and see if I couldn’t improve on it with more or different spices. Nothing tastes better than a happy accident that you create on your own. Time and money were always a challenge. It took three years to complete the research and design the book. I was running a fulltime business of my own at the time. I wasn’t sure if the book would sell, but I knew as I continued that it was something that I wanted to complete for me. If nothing else the book is a ready reference for the way I and, as it turns out, many other people cook. Currently I am redoing a travel and guidebook on Colorado in eBook format from an insider’s viewpoint. The original book Almost Native How to Pass as a Coloradan is narrowly focused on the Colorado market. It is a major rewrite and will have a new title. This time I want to reach the travelers from Europe, Australia and other people, who love beautiful scenery. By adding a large section on what to do in various locations throughout the state with links to websites, I think the book will be more of what a traveler wants to know. When I say I’m a writer, people treat me a differently. I find that a little weird and have to assure them that they probably have never heard of me. Since publishing has become accessible to almost everyone, everyone pretty much thinks they are a writer, which is why I find people’s reaction so strange. I have to admit it tickles me a bit, when my mother-in-law calls to say she saw my name in a magazine she picked up at the local bookstore. Or when a teacher from high school English calls to order my book. Those are both nice surprises. I like mysteries. I blame my sister for turning me onto them, since I used to read a lot of biographies. I turned my hobby of reading serial mysteries into a book called Mystery Lover’s Puzzle Book and continue to do book reviews on my publisher’s website (Bellwether Books.com). I think my days of crossword puzzle making are over, but I have begun a second puzzle book with other fun quizzes that I think mystery readers will like. Each book was marketed differently in order to find a special niche often outside the bookstore market. My bestselling spice book is promoted mostly in spice and gourmet shops and spice catalogs across the country. The publisher even provides a map, so customers can buy locally if they wish. I do weekly food articles that show up on the website to keep up to date and to draw people to the site. The Colorado book is promoted through local museums, tourist attractions and visitor centers throughout Colorado. That required a lot of phone work. The crossword puzzle book was specifically targeted to sell in independent bookstores, especially with those that catered to or specialized in mysteries and thrillers. Our aggressiveness paid off, because the book made the Independent Mystery Booksellers Association’s list of Paperback Bestsellers in December 2007. Being aware of the time constraints we all face and wanting to pursue the idea of more flavor in my foods, I wrote A Busy Cook’s Guide to Flavor-Packed Cookies & Bars. It came out in 2008 when the market tanked and so did a lot of bookstores. The idea was to concentrate less on goo and more on flavor. All the recipes had to take less than 35 minutes to bake, and I wanted to include both a cookie and a bar recipe for each of the flavors. Now when I’m in the mood for pineapple, I can make either a bar or a cookie with that flavor. If I want to put icing on, I’ve included several recipes, but for me the cookie’s flavor should stand on its own. The other thing I did was to reduce the recipes to between two to three dozen. The recipes are simple for the most part, and I tried to minimize the sugar content as much as possible. Writing is an isolating type of job that seems to never end. Like any creative “starving artist” endeavor, it often takes years to become an “overnight success.” Somewhere I read that writing is more about rewriting than anything else. Nowadays it is about marketing and finding a unique following. I believe everyone has a book inside of them and shouldn’t be afraid to put it down in words if only for your family. But I’ve also come to realize that just because you have a voice, doesn’t mean that you can sing. All of my books can be found and ordered from the publisher’s website http://www.bellwetherbooks.com. Feel free to look at the How To Order section to see if there is a spice store or bookshop close to you. You may also want to browse some of the new articles or book reviews under the Author Bio section. Rubicon Ranch is a collaborative and innovative crime serialization set in the fictional desert community of Rubicon Ranch and is being written online by authors of Second Wind Publishing. Celeste Boudreau is the creation of Dellani Oakes. Celeste Paulette Boudreau, though I wasn’t born with that name. I just moved to Rubicon Ranch. I’ve got a secret I’m desperately trying to hide. If I told you, it wouldn’t be a secret anymore, would it? I’m more dangerous than I seem. People see the outrageous wigs and the colorful skirts and don’t see past them to who I really am. Deep down, I’m not the colorful, flighty psychic. I’m much more than that. I’m a psychic – a real one. Not one of these smoke and mirrors types. I see things in dreams, I know things about people that they would rather I not know. I have secrets of my own that would put theirs to shame. These imitation soothsayers make me sick. They wander around pretending to have spirit guides and hear the secrets of the universe. If they spent an hour in my mind, they’d see what real spirit guides are like. You think they’re warm and fuzzy? They aren’t. They don’t care if they jerk me out of whatever I’m doing to tell me something they think I should know. I’ve nearly been in three car accidents because of them. What I wouldn’t give to be normal, just for one day. There are people who call this thing I do a gift. It’s not a gift, it’s a damn curse. And try to make money at it! People think you’re crazy or a fake and they won’t listen, no matter what you say. Idiots. Do you talk about your achievements or do you keep them to yourself? My achievements make people laugh. They don’t believe them. When I say that I’ve been instrumental in solving three homicides, they ask why I didn’t help on the ones in Rubicon Ranch. Well, cause no one asked me. I’ve gone to that idiot of a sheriff more than once with my visions. He threatened to have me arrested for contaminating a crime scene and obstructing justice. Is it my fault that the ghost of the dead woman possessed me and made me walk around like a lunatic while she spouted some nonsense about who killed her? She didn’t even see the man! That case is still unsolved – but that’s not my fault. I tried to help and they won’t believe me that it was her scumbag neighbor. Pervert, that’s what he is. One day, he’ll get killed and just see if I’ll help out on that one. Yes, I’m a psychic. I’m a damn good one too. And no, I can’t tell you the winning lotto numbers or how your mother likes the afterlife. It doesn’t work like that. I can’t just summon it for answers. If people tell you they can, they’re lying. This is unpredictable as the weather. I’m also a damn good liar. You mean besides divining the future and being ignored? Yeah, I’m really good at telling stupid people what they want to hear. I’ve been a psychic advisor on TV and radio. I even was on the Psychic Phone Network when I first got my powers. I thought I could really help people, but you know what? Those morons don’t want the truth. They want platitudes. When you tell them the truth, then you get sued. The bottom of a gin bottle after I’ve drunk my way to the bottom. You want a list? So many things, I can’t possibly tell you all of them. Let’s start with that creepy “guide” who showed up when I was talking to Ward Preminger and won’t go away. I think I’m being haunted by the ghost of Morris Sinclair. That’s just the tip of the iceberg. I don’t have time to be sad. Being sad doesn’t get you anywhere. It doesn’t matter what you do, where you go or who you say you are, you can’t escape some things. Sadness doesn’t help with that. I was born with the ability to see things about people. I could sense auras before I knew what they were. I could get an accurate read on a person just by touching them. No one in my family understood. They thought I was crazy, some called me a witch. We moved a lot because after awhile, someone would find out about me. Someone tried to abduct me once because of my powers. Because I could sense that, I got away before they could catch me. My life got even more interesting when my other abilities surfaced at fourteen. I love Thin Lizzy, Gary Moore, Pink Floyd.. Don’t give me any of that wonky, new age crap. I only listen to that when there are clients around. Classic rock all the way. I love my wigs. They express who I am trying to be. I’d like to be by myself. Maybe then I’d get a little peace. 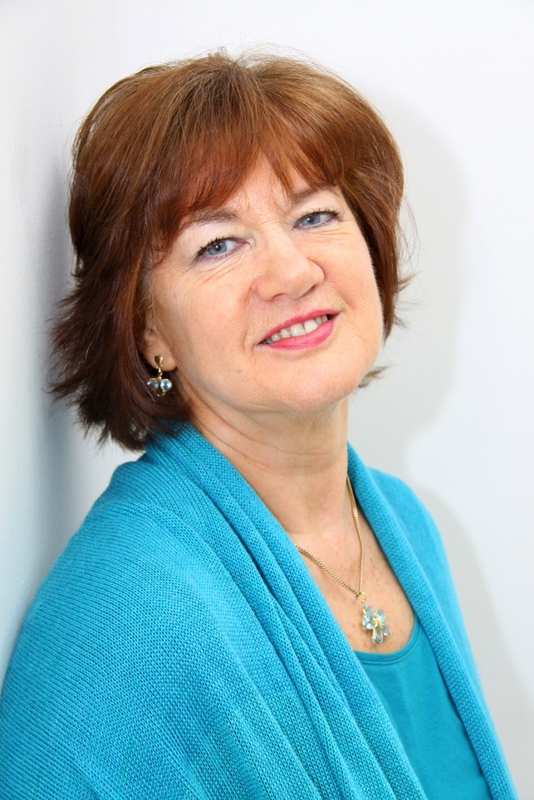 Pick one – I can envision yours, mine, the dog next door…..
One of the most fascinating people I have met online is Mike Pettit. His nightly “Goodnight America” is worth waiting for. His books covers are wonderfully nostalgic, reminding us of an earlier age of publishing. His comments are a bit too amusing to be truthful (except for his political comments, which are a bit too truthful to be amusing.) I’ve wanted to interview Mike for a long time, and now he has finally agreed to answer some of my questions. PB. Mike, Thanks for meeting with me here in Key West today. This is a lovely venue and the Cuba Libra’s are delicious. I know you like to pose as a shy reclusive author hiding from the world coming out only as various characters in your books, but I suspect there is more to the real Mike Pettit that I’m talking with today. MP. The truth is, I have always been shy and felt inferior around others. I am from a large Irish family of seven children, five girls, and two boys. With five sisters life was not easy, (especially when it came to hand-me-downs). Rather than take the brunt of blame and abuse for real or imagined dirty tricks, I would hide where I couldn’t be found and read…and dream. PB. So you started reading at an early age? MP. By the time I was twelve I had absorbed The Yearling, Huck Finn, Red Badge of Courage, and Treasure Island. From there I jumped to Edgar Rice Burroughs’s, Captain Carter Of Mars, and Tarzan, Jules Verne’s Twenty Thousand Leagues Under the Sea, Robinson Crusoe…I would read anything I could get my hands on . PB. Were these stories the basis for your writing today? MP. At the time I didn’t realize how much these stories would influence my life. They gave me a sense of adventure, a worldly awareness that you don’t find in a textbook. I developed a boldness from many of the characters that helped me grow out of my shyness and go forth with confidence. PB. Has your adult life’s experiences helped with your writing? MP. I have been very fortunate in my life. I spent most of my working life outside of the U.S. working in developing countries like China, Indonesia, Philippines, Malaysia…and a hundred little backwater ports across the region. I look back now and shudder at some of the things I did to make a buck. PB. Then your early years of reading what many consider the American Classics and your lifetime of foreign adventure is the basis of your writing. MP. Yes and no. The key ingredient to my writing is that I am a good storyteller. Sitting in closets and under shade trees as a boy reading gave me an unusually hyper imagination that has stayed with me all these years. PB. That gave you all the tools to move forward as a writer. How and when did you start writing? MP. I was on a flight to Hong Kong to finish up a project several years ago and had a heart attack somewhere over the Sea of Japan. The plane landed in Tokyo, I spent two days in a Japanese hospital, and then flew home. I knew if I continued at the pace I had been keeping I wouldn’t last long. I sold my business to my Chinese partners and retired and haven’t been back since. PB. Is that when you started writing? MP. Within two months I was ready to cut my wrists out of boredom. One afternoon I sat down at the computer and started writing, that was the summer of 2008. I wrote my first John Locke Suspense Thriller, Honorable Revenge in ninety days, I wrote five more in that series within the next year. By then my main character, John Locke, was so beat-up shot up, scarred, burned, and tortured that I retired him, he couldn’t have survived another thrill. I took a couple of weeks off then jumped into my Sam Nash Hard Boiled Mysteries series. Then I rolled out the Jack Marsh character in my Key West Action series. PB. That is quite a feat, eleven novels in four years. MP. Writing comes easy for me, as I said I am a good storyteller. My weakness is not in the plot or character development, or dialogue, not even narrative. My Achilles heel is basic grammar and punctuation, I mean, when over the course of working and making a living was I able to do any sentence diagramming? To help I bought an eighth grade scholastic primer on grammar and punctuation that helped as a quick refresher. BP. What about publishing? Are your books available? PB. Do you ever feel like you are lost among the thousands of other Kindle authors? MP. Absolutely not. I treat my writing as a business. Here are my steps to selling books. I call it the Three P Plan (I should publish this and make a fortune…oh wait, that’s been done). PRODUCT: Write the best book you can, edit the best you can, have the best cover you can. I consider myself a good storyteller, but I am not a five star writer. If stars were grade averages I would be a C+ or B- writer, and that‘s OK. So, be realistic with your expectations. Average authors sell books, trust me. I use the Flisch-Kinkaid comprehension scoring method to determine my writing / reader comprehension. I write to a reading audience at the 8th to 10th grade level of comprehension. This by the way is what the F-K scoring states as the reading level of most fiction-reading adults in America today. As a comparison, Obama’s State of the Union address was written to the 7th grade level of comprehension, The Wall Street Journal just dropped their Comprehension level from 12th grade to 10th grade level. It might make you feel better knowing this the next time someone writes a bad review on your baby and gives it a two-star D rating. This does not mean you did badly. It means the reader should have read something on a higher comprehension level. That’s why I say you must know your audience …and write to them. PRICING: To thine own self be true. You must price your book at a reasonable price. The big guys that work for the Big Six publishing houses command $25.00 and up per pop. That’s nuts, but they get it. E publishing is growing with more and more readers coming over to the light, soon the big publishing houses and agents will be begging for us little guys to sign up with them. PUBLIC RELATIONS / MARKETING: Never stop pushing your book. I sell on Kindle and Nook. I use every social network platform I can find. I have Face Book, Twitter, Google +, a large FB and Twitter friend base. Look for “Friends that fit your target audience and talk to them…constantly. This is just me, but I don’t spend a lot of time talking with other authors. If you aren’t talking to your customers, someone else is. MP. But…but Pat, I was just getting warmed up. Let me tell you about my plan to …. PB. Thank you Mike, goodbye…sheesh, glad that’s over. 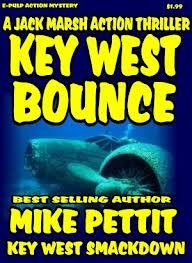 Mike Pettit’s newest book is The Key West Bounce. 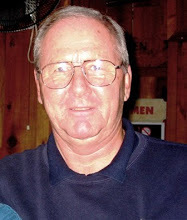 Check out Mike on Amazon, Facebook, and his action/mystery blog. 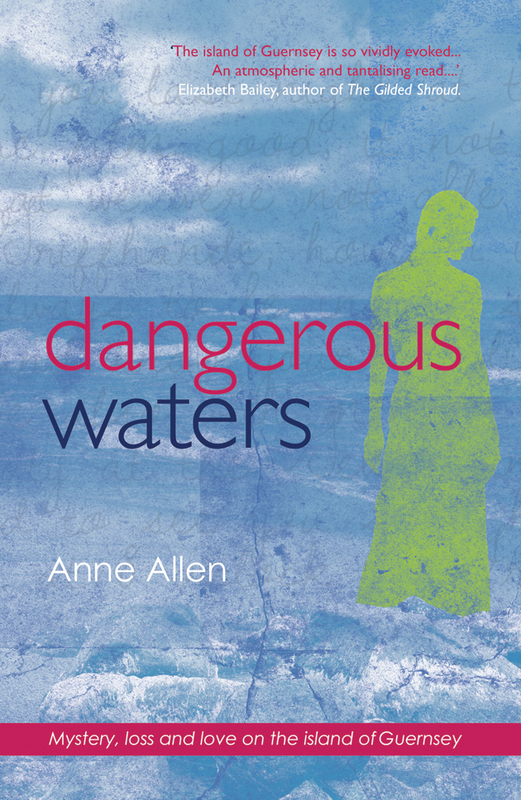 My novel, Dangerous Waters, is a romantic mystery. The story focuses on a young woman, Jeanne Le Page as she returns to her homeland of Guernsey (UK) after an absence of 15 years. She had left in a hurry after surviving a tragedy which killed her family. She has now come back to sort out her late grandmother’s affairs and take possession of the cottage she left to her. Jeanne wants to sell and leave but events change her mind and she’s drawn into uncovering family secrets buried in the cottage and, ultimately, she finds out the truth behind that long ago accident. She had suffered traumatic amnesia but had experienced nightmares for years. Her search for truth not only helps her to live and love again but puts her life in danger as someone on the island doesn’t want her to remember . . .
Quite a bit I think! I feel that I based Jeanne, in particular, on myself to some extent. A younger version of me, though! There’s another character, Molly, who shares my profession of psychotherapy. How long did it take to write you book? About 6 months for the initial first draft and then nearly 6 years (on & off) to re-write, edit and polish to a publishable standard. The book is set in contemporary Guernsey where I lived for many happy years so it was easy for me to describe the Island and how people live there. But there is another story in the book that relates to the German Occupation in WWII and I had to do a fair amount of research for that. I interviewed people who had lived there at that time and also read books from the local Guernsey library. Another topic that figures strongly in Dangerous Waters is food – both the local cuisine based on handed down recipes and that of mid-nineteenth century French haute cuisine. For that I researched both books and on the internet. Well, as a former resident of Guernsey, I felt very drawn to writing a novel set there. I loved the island and still do and I feel this shines through in my book. It’s what readers have told me, anyway! Also, as a psychotherapist I was in a strong position to include the use of hypnosis in this book. On a more general level, it’s helped me understand people and how they cope with loss. ‘Finding Mother’, a novel which traces a young woman’s journey to find her natural mother. The story is set mainly in Guernsey but there are excursions to England, Jersey and Spain. The story will involve the histories of three women – Nicole, her natural mother Hélene and her grandmother, Eve. I’m really into suspense and mysteries these days. I like books which twist and turn with an unexpected ending. But I also prefer an element of romance! Sure do. It’s very handy for that occasional ‘epiphany’ moment – or just to write down something I need to do the next day! This is an interesting question because I’m really not sure. I was fascinated with Bigfoot when I was younger. The town I grew up in had several Bigfoot sightings, so I think those stories fueled my curiosity at a young age. Part of the Bigfoot legend has always been the idea it was a hoax. Some of the evidence is obviously hoaxed. I’m not sure about all of it, but there are certainly Bigfoot hoaxers out there. It was the hoaxing which really drew my attention – who would do something like that and why? Then I wondered: if Bigfoot exists, what does it think of these people hoaxing Bigfoot? The novel grew from that question. I’m not really sure. I suppose there are bits and pieces of me in all of the characters. Bigfoot was really fun to write. It took a long time for me to decide on what type of character he should be. I wanted to stay away from the typical scary-creature-in-the-woods Bigfoot. I also thought Bigfoot would be a great vehicle for looking at our world through different eyes. The interesting thing that happened when I started writing him was this misogynist pig came out. I went back through what I wrote, and I thought it was really funny. It was great to be able to shut off the filters and write from the reptile side of the brain. Very little – I start with an idea and go. I read somewhere Tom Robbins purposely writes himself into a plot corner just to see if he can get himself out of it. I found the idea – that writing didn’t have to have a regimented approach, but could be a game for the writer – really attractive. So, I sat down with the idea ‘What would Bigfoot think if he saw a Bigfoot hoaxer?’, and I went from there. I didn’t start off writing stories, but jokes. I really wanted to be a stand-up comedian. I studied comedy extensively, and trained myself to see the joke in everyday things. I was a horrible stand-up comedian. I didn’t like speaking in front of a crowd, but my joke writing wasn’t bad. It occurred to me I could write some very funny jokes – I just couldn’t tell them. In some ways, jokes are micro-novels; they follow similar trajectories, timing, etc. Some of the chapters in the book follow the framework of joke writing. I picked up Still Life with Woodpecker by Tom Robbins when I was about 21. It was the book which really spoke to me. I’d always enjoyed reading, but it was the first book I felt like it was written to me. I loved Steinbeck, Twain, etc, but they were from another generation. Woodpecker was the literary equivalent of hearing Nirvana’s Smells Like Teen Spirit or Don McLean’s American Pie for the first time. I felt like someone else out there saw the world like I did. Christopher Moore, Tim Dorsey, and Carl Hiaasen are larger influences on me now, but Tom Robbins was the first to knock me down the rabbit hole. I read probably a dozen books on Bigfoot and hoaxing Bigfoot. I don’t think I ended up using anything from the research. I tend to b.s. my way through with just enough facts to make it seem plausible. Absolutely not. I write sitcom literature. It’s mental fast food. I just wanted to write an enjoyable story. Mark Twain’s The Diaries of Adam and Eve. It is the funniest, most honest analysis of the complicated relationships between men and women I’ve ever read. Where can we go to learn more about Donations to Clarity?